Battle royale games are all the rage now, thanks to the success of titles like Apex Legends, Fortnite and PUBG, and it seems like Japanese developers are looking into developing their own games. Last week, we learned that From Software’s president Hidetaka Miyazaki was interested in developing a battle royale game, and today we learn that Final Fantasy XIV director Naoki Yoshida feels the same. Speaking with GameSpot, Naoki Yoshida stated that he would like to develop a battle royale game, adding that he has some ideas that could innovate on the genre. He also added that he would like to develop another MMO in the future, but for now, he is fully focused on Final Fantasy XIV. I would like to make a battle royale game. I have some ideas to do that. I have some ideas to make that type of game fun. As an online game designer, I would like to make an MMORPG from scratch without any limitations or restrictions. Removing all those kind of restrictions, I would like to make one MMORPG that fits the current trend before I die. I would also like to play Diablo 4. 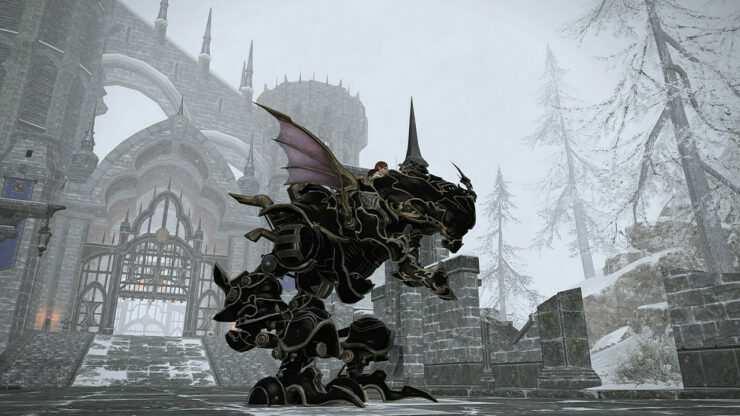 Final Fantasy XIV is now available in all regions on PC and PlayStation 4. The game’s next expansion, Shadowbringers, will be released in early Summer 2019, adding more story content as well as a raised level cap, multiple new jobs and much more.